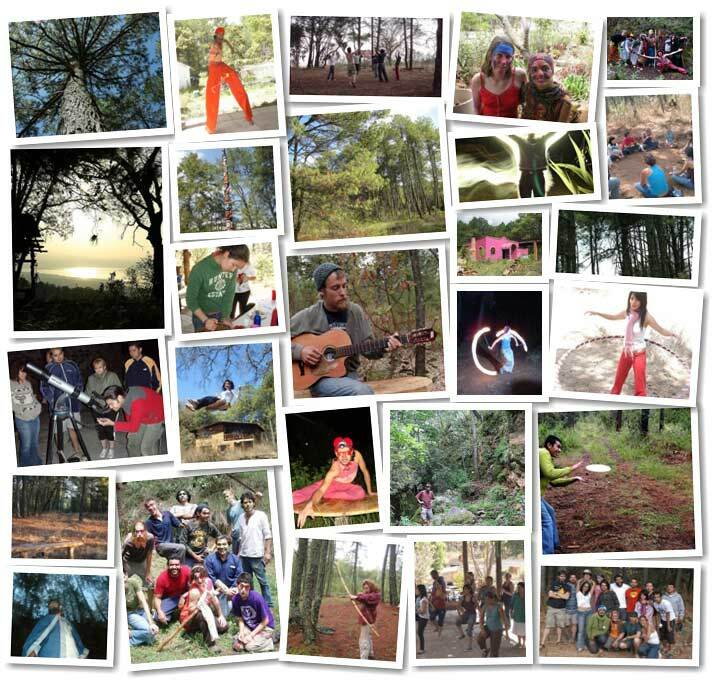 Cumbre Yah is located at the Bosque Village, a permaculture eco-retreat center in the Mexican highlands. Visit the Bosque Village website here to learn more information about the space. The Bosque Village has many spaces to camp. Small RV camping is available. Large vehicles may have trouble arriving on the rocky road to the village. Very specific and detailed instructions will be sent to all participants. The Bosque Village is in the hills above a small village called Erongarícuaro. The closest airport is Morelia (MLM), though some visitors prefer to fly in to Guadalajara (GDL) or Mexico City (MEX) to get better prices. For those interested in time at the beach, consider flying into Zihuatanejo (ZIH). For people who are not familiar with the Mexican highlands, please look up information about Morelia and Pátzcuaro – nearby cities. The Bosque Village is 2 hours from Morelia via public transport. Patzcuaro is 1 hour away. If you travel to Michoacán to participate in Cumbre Yah, consider planning short day trips to enjoy the nearby villages. It is possible to reserve space at the Bosque Village before and after the event to take advantage of the location. Erongarícuaro. The closest village has a beautiful plaza, great food, and there is nearly always something going on. Pátzcuaro. Pátzcuaro, a small colonial city, is coined a “magical town”. There are artisan markets and great plazas. Nearby Pátzcuaro there are small villages to visit including Santa Clara de Cobre (copper products), Tocuaro (mask making), Tzingtzuntzan (archilogical zone and a lot of art), and many more! Morelia. Morelia is the state capital, a colonial city. The beautiful cathedral alone is a reason to visit Morelia. Uruapan. The avocado capital of the world. Uruapan also is home to an ecological park, natural reserves, and is a bustling city. Paracho. The guitar capital of Mexico. A lot of the visitors who come to the Bosque take advantage of Paracho’s craftsmenship and great prices and buy a guitar or string instrument. Volcan Paracutín. Close to Uruapan. A volcano and excellent hike. Michoacán Coast. Some of the best beaches in Mexico, with camping available and just a few hotels. Nexpa is famous for surfers. Or, head to the next state over and enjoy Zihuatanejo. Hot springs. Los asufres (the sulfurs) are just a few hours from the Bosque. Traveling is safe in nearly all areas of Michoacán. Just like traveling anywhere, tourists need to be aware of personal possessions and avoid dangerous situations. We cannot guarantee the safety of our visitors, but out of the 500+ people who have visited the Bosque Village, we’ve had one problem in this area: a pickpocket stole a coin purse from a woman in Pátzcuaro. The nearby towns have always been friendly and welcoming to our visitors. Do not get drunk in public. In very crowded areas, keep your wallet in your front pocket, or your purse tucked in front of you. Leave your passport and visa in your hotel, and always carry a copy of your identification. Do not walk in dark, abandoned areas. The villages near the Bosque are conservative and quiet (most of the time). We wear conservative clothing in town and ask our visitors do the same. Please do not take photos of “quaint” looking people. Please do not drink in public. 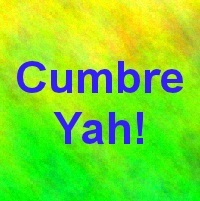 We hope all participants at Cumbre Yah will help us protect our reputation in the nearby towns so we can continue having this event! Warm clothing. For example, if you plan to go to the beach after your time at the Bosque, you can lighten your suitcase weight and donate your coat or warm sweater.